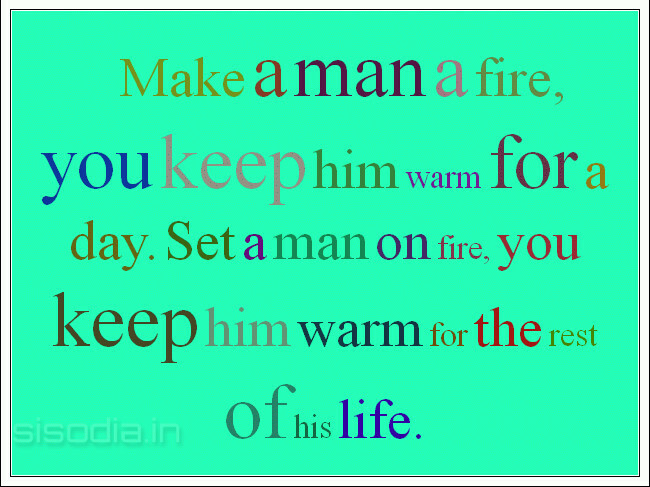 Quotes Find: Make a man a fire, you keep him warm for a day. Set a man on fire, you keep him warm for the rest of his life. 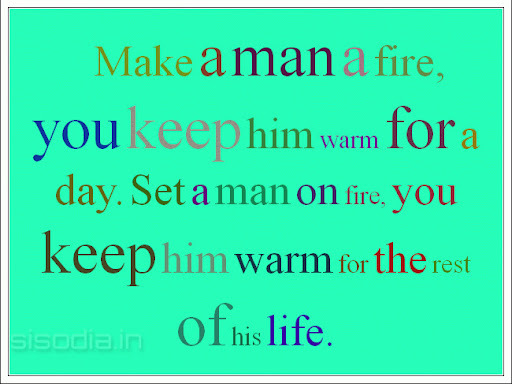 Make a man a fire, you keep him warm for a day. Set a man on fire, you keep him warm for the rest of his life.